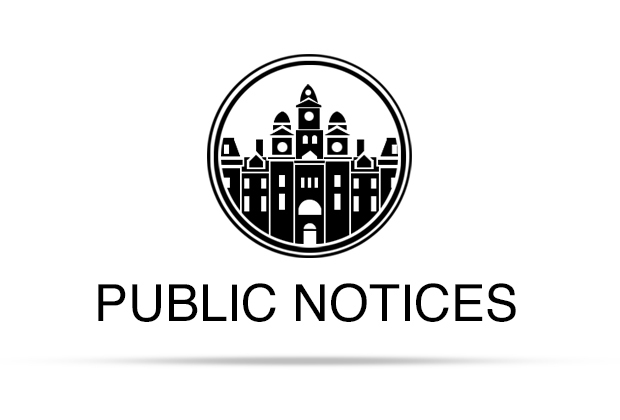 This is to give notice of intent to introduce in the 86th Legislature, Regular Session, a bill relating to the Sunset Commission’s recommendations for the Guadalupe-Blanco River Authority. NOTICE OF APPOINTMENT OF PHILLIP REESE as Independent Administrator of the Estate of Monica Rae Schultz, Deceased. Pending in County Court, Caldwell County, Texas, in Matters of Probate No. 10,333. WHEREAS, on the 8th day of January, 2019, in County Court, Caldwell County, Texas, the undersigned duly qualified as the Independent Administrator of the Estate of Monica Rae Schultz, Deceased. Notice is hereby given that original Letters of Administration on this estate were granted and this is to notify all persons having claims against said estate to present the same to the undersigned within the time and in the matter prescribed by law. Any person indebted to said estate is hereby notified to pay same to the undersigned. Dated at San Antonio, Texas, January 30, 2019. SUP-19-03. A request by Michael Hollifield on behalf of Cynthia Alvarez for a Specific Use Permit to allow a Church on part of Lots 4 and 5, Block 23 Original Town, consisting of 0.18 acre zoned CCB Commercial Central Business District and located at 115 North Commerce Street. The City Council may uphold, reverse, or reverse with conditions, the Planning and Zoning Commission’s approval of the Specific Use Permit application. If the Commission’s approval is reversed, the application shall be deemed denied, subject to any conditions by the City Council. All interested persons owning property within 200 feet of this property who wish to state their support or opposition may do so at this Public Hearing; or they may submit a written statement to the City Planner or his designee for presentation to the City Council at or before the time the Public Hearing begins. The annual meeting of Polonia Water Supply Corporation will be held at the office on Tuesday, February 19, 2019 at 7:00 p.m. The meeting will be held at the water supply office located at 2990 FM 1185, Lockhart, Texas. The purpose of the meeting is to elect directors and to transact any other business that may properly come before the board. Deceased, were issued on January 30, 2019, in Cause No. 10348, pending in the County Court at Law of Caldwell County, Texas, to James L. Cole III. All persons having claims against this estate, which is currently being administered, are required to present them by addressing them in care of James L. Cole III’s attorney, Robert A. Haedge, 1987 Tumbleweed Trail, Dale, Texas 78616, within the time and in the manner prescribed by law.